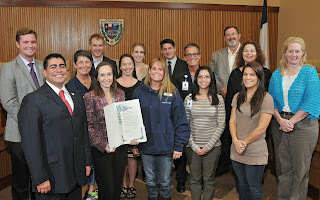 A unique collaboration between the Healthy City Task Force and the San Marcos Greenbelt Alliance has resulted in Fitscription, a program to promote wellness and physical activity opportunities using outdoor green space and natural areas in San Marcos. With the participation of local doctors, nurses, therapists and the like, community members of all ages and abilities will be provided a Fitscription Plan indicating the type of activity, number of minutes per day, and number of days per week. The Fitscription Plan includes a map of the San Marcos parks and natural areas. Various organizations and individuals have been involved in planning this initiative, which was initially presented to the Healthy City Task Force by the San Marcos Greenbelt Alliance. The idea was modified for San Marcos and to mesh with the Healthy City Task Force mission to promote fitness and nutrition for a healthy San Marcos. 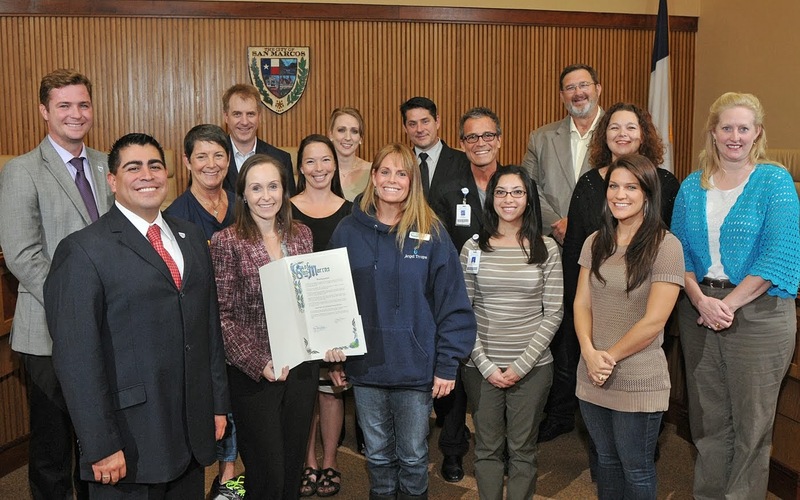 The Healthy City Task Force was formed in January 2010 by the San Marcos City Council to address the overweight and obesity issue in the youth of San Marcos. Today, the Healthy City Task Force includes 15 member organizations, and many more individuals interested in forward momentum toward a healthier community.